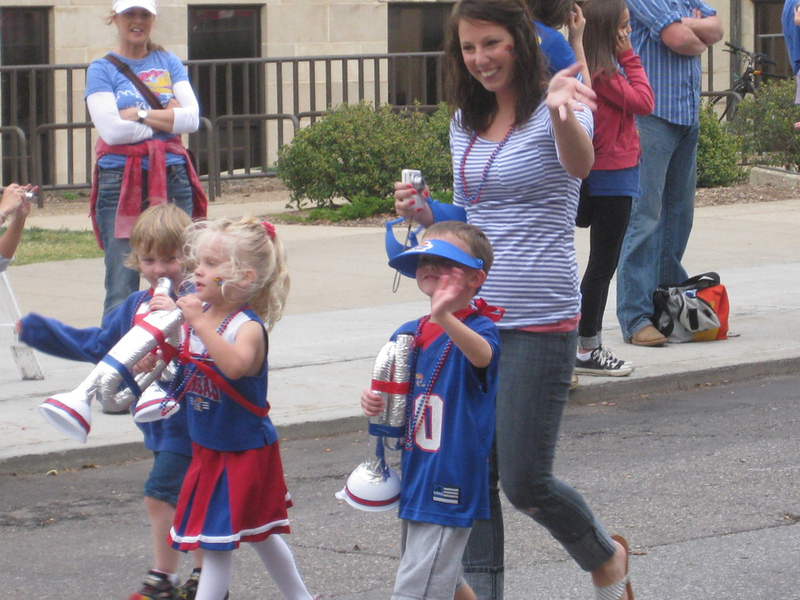 Today was KU Homecoming and while the Jayhawks' play on the football field has left much to be desired during the last few weeks, we don't mind because today was all about the pre-game. As previously mentioned, Thomas' preschool teacher, the fabulous Miss Lori, somehow sleuthed out an opportunity for her class to march in the Homecoming Parade. 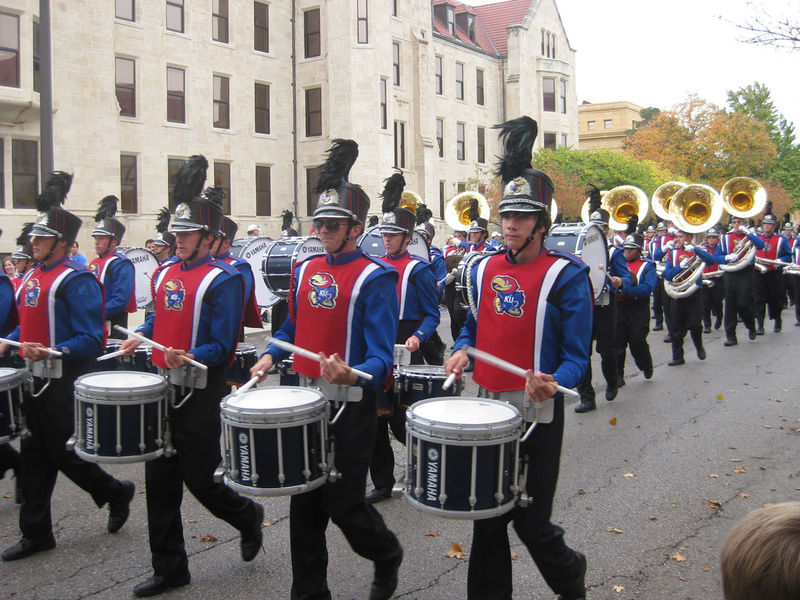 The parade is lead down Jayhawk Boulevard from the Union to the Chi Omega fountain by the KU Marching Band and is composed mostly of floats built by Greek organizations, honored award recipients and the alumni band. 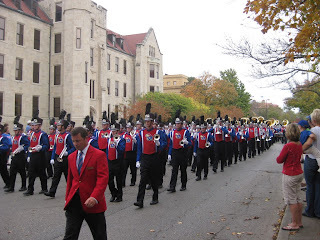 While it is possible that I'm a bit biased, I'm pretty sure this year's parade show was stolen by the addition of the Pre 2 marching all-stars. 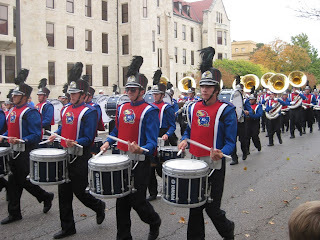 Each child in Thomas' class was assigned a job either as a banner carrier, trumpeter, flutist, sousaphone player or drummer. Thomas' assignment as a trumpet player should come as no surprise, given his Louis Armstrong tendencies. 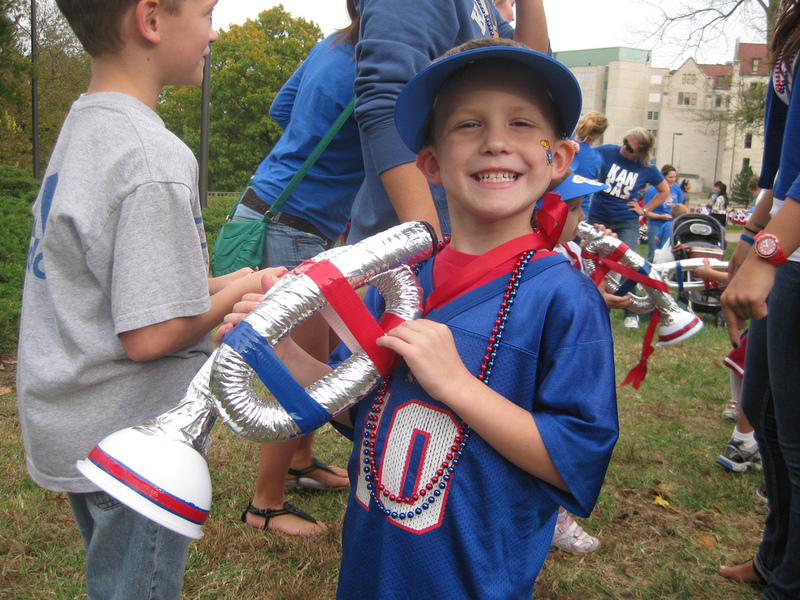 The kids were involved in this project from start to finish and they helped make their "instruments," decorated their visors and then learned about the instruments they were carrying. ﻿ Thomas learned, for example, that a trumpet is "kind of like a mellophone but it's really a horn with a bigger bell." All fourteen students also walked the full mile route on their own leg power, which is a feat in and of itself. The awesome Miss Lori and the part-time staff, who are KU students and voluntarily participated in this!, corraled the kids along the entire route, freeing up the parents to be spectators which was a total treat. 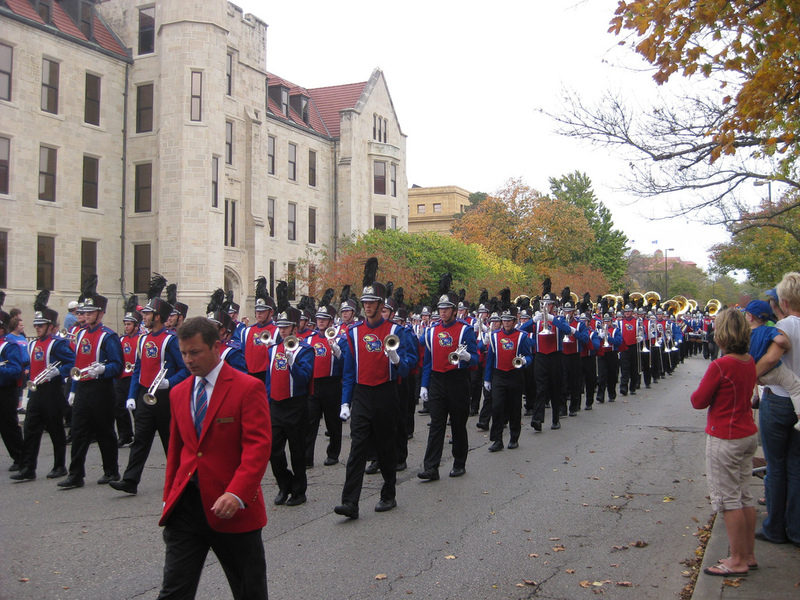 We all met our marching geniuses at the end of the parade and then had a group tailgate on the hill. 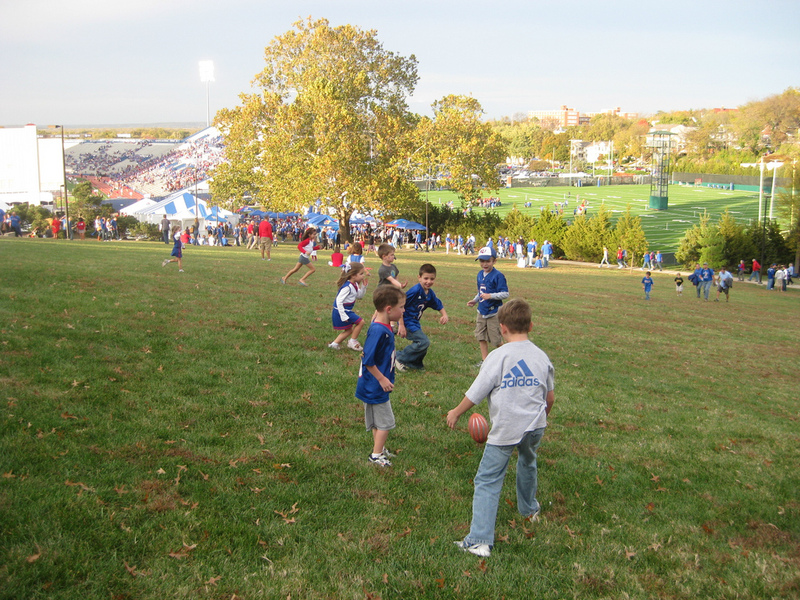 Both boys had more fun than should be legal playing football on the hill with their friends, eating hot dogs and generally messing around. 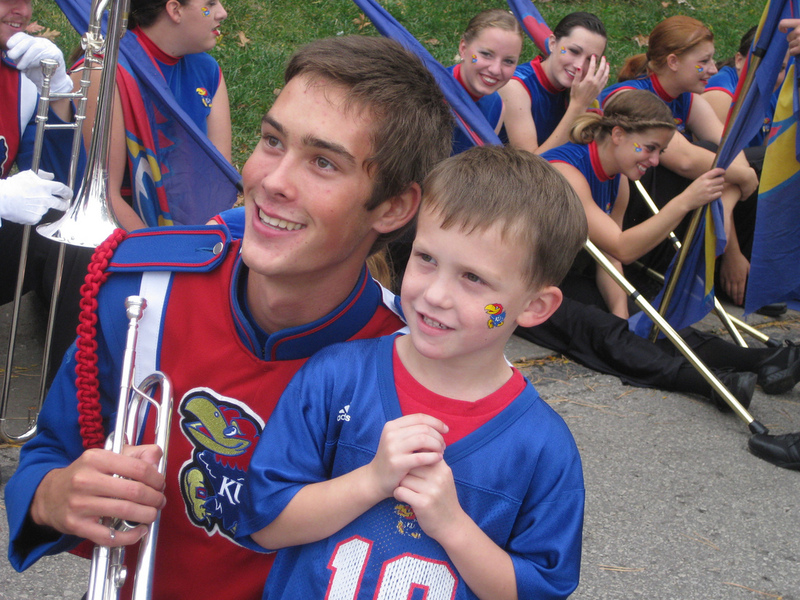 As a special bonus, Thomas got to meet a real KU Marching Band trumpet player, thanks to the kindness of one of his teachers, Kirsten, who played in the band for four years. His name was Josh and after he serenaded Thomas with the KU fight song, he was kind enough to pose for a picture. I don't have his permission to post this but he told me that the thought the kids were the best part of the parade so I'm hoping this will meet with his approval. After all of this fun, the Jayhawks played some football I think but we'll choose not to dwell on that. Instead, I'll choose to remember it from Thomas' perspective. 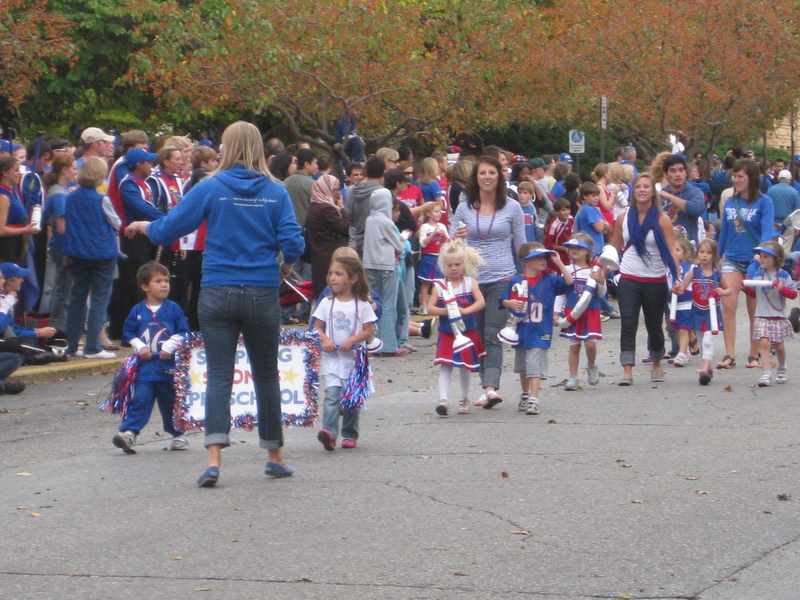 On the walk back to the car I asked him what his favorite thing was about the parade and the tailgate he said, "Well, just all of it!" Mark and I were preparing lunch today when we heard from overhead a LOUD thud, immediately followed by clattering and then...total silence from upstairs. About 90 seconds later Andrew appeared in the living room and sat down in a chair with no apparent purpose. Mark: "Andrew, what was that noise?" Mark: "The one that was so loud it shook the ceiling and the neighbors probably heard it." Andrew: "I don't know. I didn't hear it." In addition to learning about Fire Safety this month at school, Andrew's class is starting on a unit about Stranger Danger and Drug & Alcohol Awareness. It's a sad world, y'all. 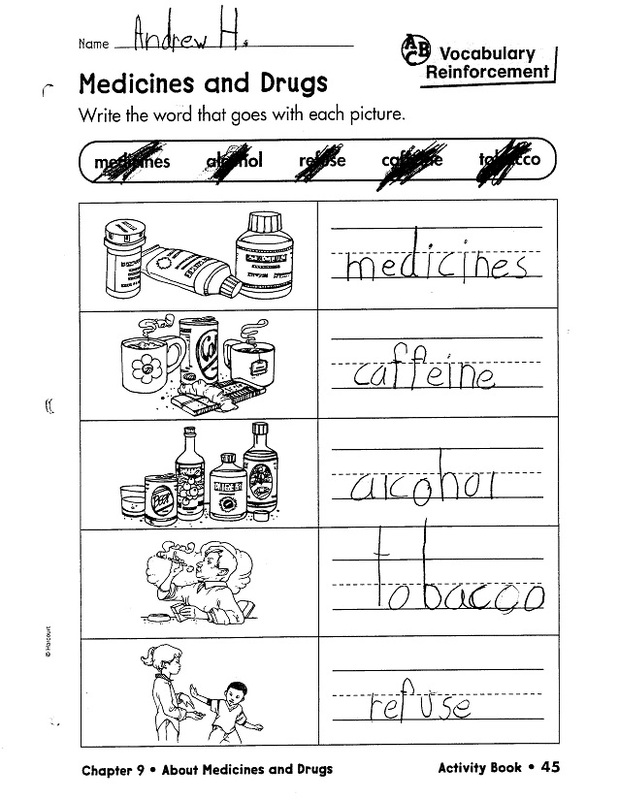 I guess the good news is that even in this time of lean budgets, Andrew's school still has a full-time social worker who helps the teachers with this curriculum. Today's lesson was a really good one. 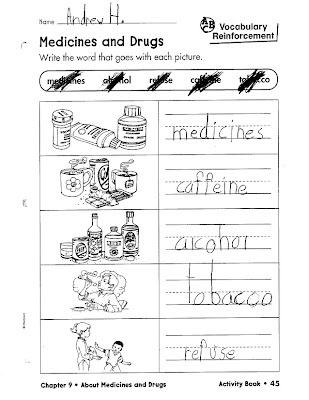 I think we can all agree that kids should refuse prescription medications, alcohol, drugs and tobacco. And, we can probably agree that adults should never abuse those things. However, how am I to respond when my son comes home and informs me that I need to stop doing drugs. The drug about which he's concerned? Caffeine. Really? Are we taking this too far? If you need me I'll be huddled in the corner of my kitchen sneaking sips of coffee and Coke, Coca-Cola that is.